Hello, and thank you for taking time to learn a little more about me. My name is Jeanne Crescenzo, I am a Minister of Melchizedek, Psychic Medium, Reiki Master, Advanced Theta Healer, and Artist. I have been working professionally and with compassion for 10 years. I have been a guest on CBS radio and have participated on a variety of metaphysical radio programs. 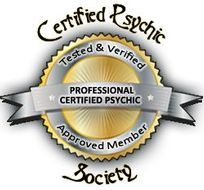 I am a member of Best American Psychics and the Certified Psychic Society that is recognized nationally and globally for testing their members for accuracy, ethics, and professionalism. 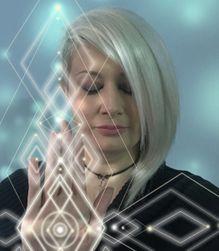 My love of not only connecting to the Otherside, Higher Dimensions, but to the collective consciousness of the Galactic Council has helped countless I come in contact with. I can't even begin to express the excitement and gratitude of this Earthly Assignment. We are far more than we appear and the Spirit World is full of love! My connection to my Teachers in Spirit guided me to pursue healing, art, and esoteric teachings. I began to receive feedback on how my words touched, healed, inspired or guided. With the gentle nudging of the Divine was opened further to take these messages to a broader audience and created Light of the Soul, Inc. to provide services, workshops, and wellness products to aid on the spiritual path. 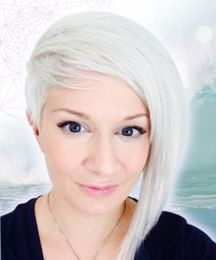 I was mentored for large portion of my life through Spirit by a group of Wise Light Beings, Ascended Masters, and Archangels from the Stars to interpret the sacred geometric layers of energy in the aura, to connect with other high dimensional beings, galactic beings, and develop understanding of a persons soul vibration, akashic records of this earth and beyond, and layers of life purpose and channel this information for ones personal spiritual growth. They gave me the understanding that I would help activate others to their true vibration and their Soul. That I would be their channel of higher wisdom and would come through my artwork, healing, guidance, workshops, and very often just by being present. Having a greater understanding of my own multi-dimensionality has helped me in my healing work with others. 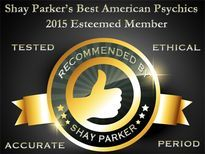 This is an ongoing study even today and has helped me find peace, gratitude, and deep levels healing in my own life. YouTube Video of the last Moonlight and Magic Expo!